This combination of enchanting destinations of Golden triangle with Unique and ultra-Luxury Hotels with Bishangarh Fort and ITC Luxury collection hotels along with amazing Luxury and services. Travel our beautiful northern Indian cities which are full of diversity including Agra Fort (Mughal Grand Architecture) and the Taj Mahal. You will explore Cultural, Colourful Indian traditions along with many activities along the way with most Luxurious way. Delhi: Delhi is the best place to experience history, culture, food, spirituality, madness and mystery. Spend a day and explore at your leisure like Akshardham Temple, Dilli Haat INA, Jantar Mantar and many more. On arrival at the airport meet our representative who will take you to the hotel and provide an introduction about your tour. Evening you will be taken to a welcome Dinner. Overnight at Hotel. Morning after leisurely breakfast, leave for Jaipur (Bishangarh Fort - a grand Luxury Warrior fort). A remarkable 230-year-old Fortress has finally completed its restoration, its location perched on a granite hill with stunning 360 degree views of the Rajasthan landscape. Fort Bishangarh is a special place, filled with marble floor, stone walls and extensive history. In a region filled with palaces and historic forts, and is the only warrior fort that has been converted into a resort. Striking architecture of Alila Fort Bishangarh appears seamlessly sculpted from the surrounding rustic terrain, feel of the impressive Rajasthani landscape. Enjoy luxury and history along with theme Dinner at Bishangarh Fort. Overnight at Bishangarh Fort. Morning breakfast and proceed to visit Jaipur (Pink City) built by Maharaja Jai Singh, the notable astronomer 260 years ago. 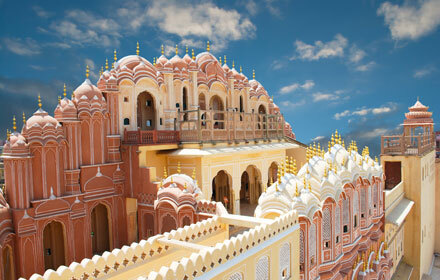 Here the past comes alive in magnificent forts and blushed pink palaces, where once lived the Maharajas. Jaipur was and still remains the only city in the world symbolising the nine divisions of the universe, through rectangular sectors sub-dividing it. It is a royal city and its surroundings are rather like an endless museum. The delightfully laid out gardens, parks, attractive monuments and marvellous heritage hotels, which were once the residence of Maharaja’s are worthy of admiration. This fascinating city with its romantic charm gives you a feel of royalty and tradition and has plenty of forts and monuments that remind you of the ancient glamour, glory and charm of Rajput rulers. Visit Amber Fort; add a magical touch to the visit by riding on the back of an elephant from the foot of the hill up to the gates of the fortress in the manner of former kings and queens. Within the complex, Ganesh Pol, an imposing gateway painted with images of the elephant-headed god, Ganesh takes pride of the place. Also a part of the complex is the Diwan-I-Aam (Hall of the Public audience) with its spectacular display of pillars. Later visit the Maharaja’s City Palace, the home of the erstwhile royal family, the Observatory, Hawa Mahal also known as Wind Palace built in 1799 by Maharaja Sawai Pratap Singh and drive past the old part of Jaipur city. Remaining of the day is free to explore local bazaars which are known for its embroidered leather shoes, blue pottery, tie and dye scarves and other exotic wares. Return back to Bishangarh fort. Overnight at Bishangarh Fort. After breakfast, proceed to Agra. Enroute visit beautiful and world’s most haunted place Bhangarh’s castle ruins. The town was established in 1573 (VS 1631) during the rule of Kachwaha Rajput ruler of Jaipur Bhagwant Das as the residence of his second son Madho Singh. The next ruler of Bhangarh was his son Chhatra Singh. Bhangarh is also a pre-historic site. The most remarkable of its buildings are the Hindu Mandir of Gopinath, Shiv (Someshwar), Hanuman, Ganesh, Vishal Devta, Lavina Devi and Keshav Rai. Here Govt. of India placed official board to warn tourist not to stay after 5 pm. Later proceed to Abhaneri. Abhaneri was originally named Abha Nagri, which means "city of brightness," but due to mispronunciation, the name was changed. Abhaneri is prominent for ’Baoris’, step wells which were invented by the natives to harvest rain water. These tanks were used as cool places of retreat and as water reservoirs during parched times of the year. Chand Baori is the most popular and beautiful of the wells in the region and it is one of India’s deepest and largest. It was a ritual to wash the hands and feet at the well before visiting the adjoining “Harsha Mata Temple” dedicated to the goddess Harshat Mata. Harshat Mata is considered to be the goddess of joy and happiness. According to myth, the goddess is always cheerful and she imparts her joy and happiness to the whole village. Also enroute visit Fatehpur Sikri. One enters Sikri from the Agra Gate, one of the nine gateways on the way to the palace complex. Diwan-i-Aam or the hall of public audience appears first. It is a huge rectangular walled-in courtyard where petitions were heard, proclamations made, ambassadors received and entertainment programme held. Ponder the mysterious desertion of this capital city that was dramatically abandoned a few years after it was built. Though over 400 years old, Fatehpur Sikri is perfectly preserved. Reach Agra and check in at hotel. Overnight at Hotel. Morning visit Taj Mahal during Sunrise. The Taj Mahal was built by an emperor in memory of his beloved queen. Construction of the Taj Mahal began in 1631 and is believed to have taken 18 years to complete with over 20,000 craftsmen working around the clock. The design and construction is said to be that of the legendary architect, Ustad Ahamad Lahori. Legend has it that once construction was completed, Shah Jahan had Lahori’’s hands cut off and blinded, so he would never be able to duplicate the structure. What makes Taj Mahal unique is its perfect proportions, distinct femininity, medium of construction and ornamentation. 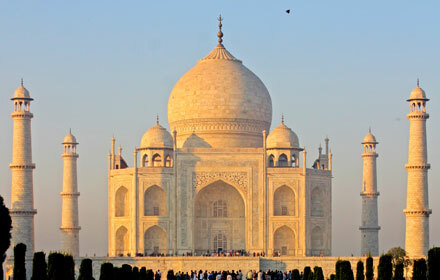 Its marble exterior reflects rose and golden tints at sunrise and sunset, while it is dazzling white during the day. Back to hotel for breakfast. Later visit Agra Fort; on the west bank of the Yamuna River Akbar’s (the third of the Great Mughal) magnificent Fort dominates the center of the city. Akbar erected the walls, gates and the first building inside, Shah Jahan built the impressive imperial quarters and mosque, while Aurangazeb (the sixth and last of the Great Moghuls) added the outer ramparts. The Predominantly red sand stone structures combining Hindu and Islamic styles of architecture glow beautifully during Sunset. Overnight at Hotel. Morning breakfast and drive to Delhi. Upon arrival check in to hotel. Evening visit local market on tuktuk, do some shopping and enjoy streets of city or rest at hotel. Overnight at Hotel. 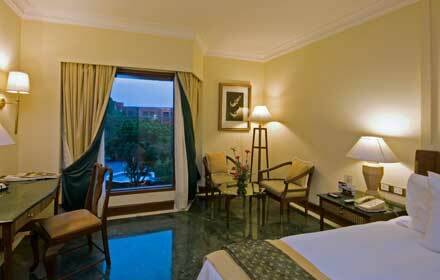 Have Morning breakfast and today you will be taken to Old Delhi (the walled city) sightseeing. Enjoy a Rickshaw ride with its old heritage and culture. 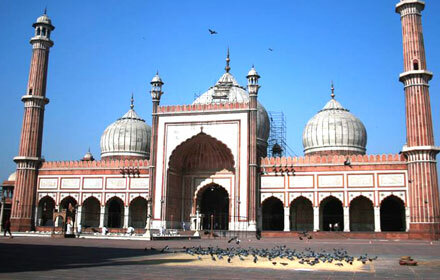 Visit Jama Masjid - one of India’s largest mosques where twenty five thousand people can pray at one time. 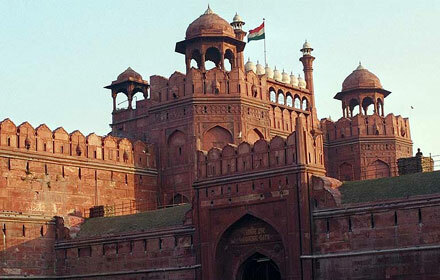 Drive through red fort and have a mesmerising view of the Red walls. Also visit Mahatama Gandhi’s memorial. Afternoon visit “New Delhi” which came into existence much later, and is also known as Lutyens Delhi. Lutyens was British architect who designed India Gate, Presidential House, Secretariat, Parliament House and many other buildings in the area. 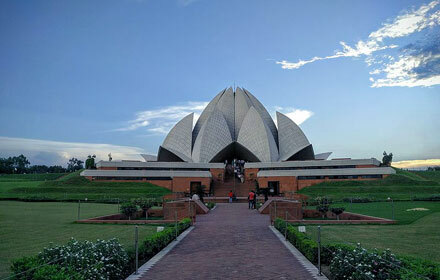 Visit Lotus Temple (the crown jewel) and then drive on to see the tallest tower in Delhi, known as Qutub Minar, which declared the arrival and rise of Islam in India. Also visit Humayun’s Tomb – the great monument of Delhi was built by his wife Haji Begum in the 16th Century. An early example of Mughal architecture considered the predecessor of the Taj Mahal. Overnight at Hotel. 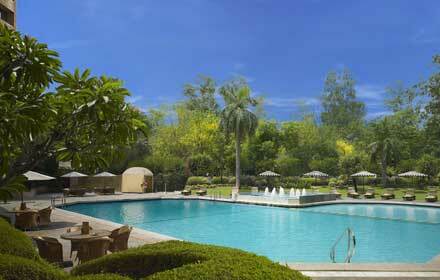 Morning breakfast and transfer to the Delhi airport to board the flight for your onward journey with Happy Memories. In the morning after leisurely breakfast leave for Grand Bishangarh fort; A remarkable 230-year-old Fortress has finally completed its restoration, its location perched on a granite hill with stunning 360 degree views of the Rajasthan landscape. Fort Bishangarh is a special place, filled with marble floor, stone walls and extensive history. In a region filled with palaces and historic forts, and is the only warrior fort that has been converted into a resort. Striking architecture of Alila Fort Bishangarh appears seamlessly sculpted from the surrounding rustic terrain, feel of the impressive Rajasthani landscape. 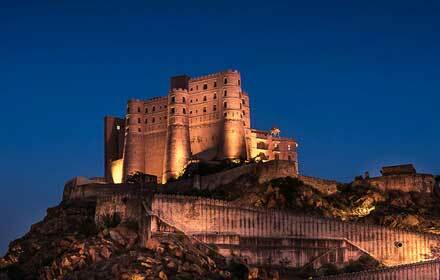 Enjoy luxury and history along with theme Dinner at Bishangarh Fort. Sprawled over 35 acres of luxurious gardens, and in close proximity to the Taj Mahal, ITC Mughal, a luxury hotel in Agra is a fitting tribute to the great Mughal builders of the past. The only Indian hotel to have won the prestigious Aga Khan Award for its excellent representation of Mughal architecture. This luxury hotel in Agra comprises of 233 opulent rooms and suites, recreating a paradise for the contemporary Mogul- full of splendor and perfection which was the hallmark of the Mughal Dynasty. Nestled in greenery in the heart of Delhi, ITC Maurya – a premier luxury hotel in the capital city of India, is acknowledged as the preferred ’Residence for World Leaders and Global Icons’ for over 35 years. The 437 room property encapsulates the luxury hotel experience with exemplary service and warm hospitality soaked in Indian traditions. ITC Maurya has ordained industry benchmarks in safety and security; It offers a wide choice of premium rooms and suites with world renowned restaurants including the iconic Bukhara, banqueting facilities, spa and wellness- terming it under the finest decisions that any explorer would take!